The two are serving a ten-year sentence in Tihar Jail for their role in the JBT recruitment case. CHANDIGARH: A fresh row is brewing in the Chautala family after Ajay Chautala came out of jail on Monday on a 21-day furlough to campaign for the Jannayak Janta Party (JJP) which has entered into an alliance with the AAP in Haryana. His father, the Indian National Lok Dal (INLD) supremo and former Haryana chief minister OP Chautala, however, has been denied furlough by the AAP government in Delhi. The two are serving a ten-year sentence in Tihar Jail over the JBT recruitment case. Ajay’s sons, Dushyant Chautala, the MP from Hisar, and Digvijay Chautala had floated the JJP a few months ago after being shown the door from the INLD by their uncle Abhay Chautala. Now, their father Ajay is out of jail to campaign for the party in the upcoming elections till May 6 as no conditions have been put for the furlough. But OP Chautala, who had asked for parole to take care of his ailing wife, is still in jail and cannot come out to campaign for the INLD. Last week, the AAP government in Delhi had opposed OP Chautala’s plea for parole in the Delhi High Court, saying that although he claimed that he wanted to attend to his ailing wife, he was actually seeking to come out for political reasons. 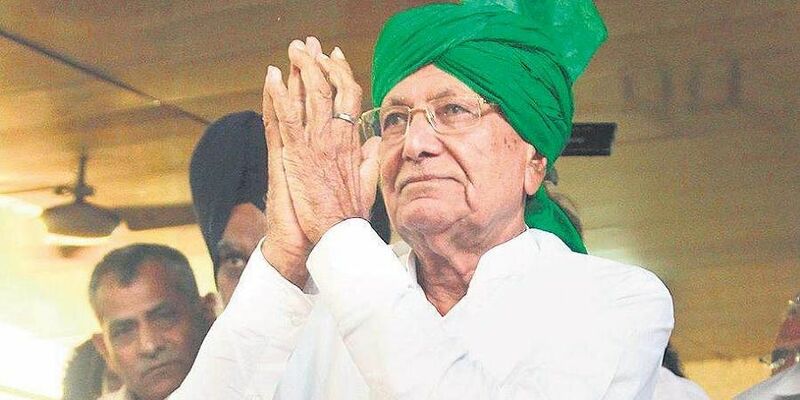 Sources said that earlier also during the Jind bypoll in January this year, OP Chautala was refused furlough.